Death of an Icon - Many Americans who were alive in the 1960's say they know exactly where they were and what they were doing when they heard the news of President John F. Kennedy's assassination. In the African-American community, you'll often hear similar accounts around the deaths of Martin Luther King Jr. and Malcom X. Each of these leaders died prematurely, being shot and killed amidst the social and political turmoil of the 1960's. While Steve Jobs was not a political figure and was well known to have been battling pancreatic cancer, his death yesterday was still quite shocking. Just as many Americans can remember where they were and what they were doing when they got news of Kennedy's death, I believe many will remember where they were, what they were doing, and most importantly how they heard of Steve Jobs' death. Perhaps someone sent you a text message on your iPhone, or you saw the trending topic on Twitter. Maybe you saw a post on someone's Facebook wall, or you opened up to the news in your RSS reader. Others opened the Safari browser on their Mac to see Apple's homepage replaced with nothing but Steve Jobs' name, picture and the subtle news of his death, "1955-2011." No matter how you heard about Jobs' death, chances are, he played a part in how that information reached you. In my case, Collin and I were working late at the Starbucks in Harvard Square. I was busy working on porting Modkit's web based editor to our new web application framework (more on this soon) and Collin was working on reorganizing our home page structure to tightly integrate with our blog and other user generated content. Collin had just shown me a mockup of the new homepage and asked "Did you see this? ", switching to Apple's homepage. We talked for a bit about his resignation from Apple a little over a month ago and how he must have known he didn't have much time. After a short conversation we got right back to work towards democratizing programming and engineering. 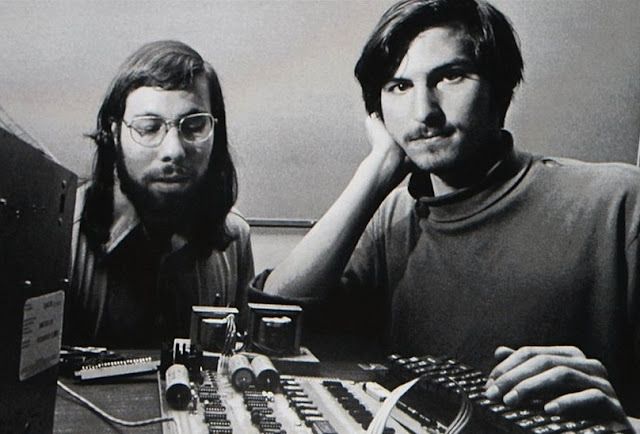 Hobbyist Beginnings - Today, I've been reflecting a bit on why Steve Jobs' was important, both to our society as a whole and to our work on Modkit. I've thought for a bit about a talk that I gave at TEDxKids in Brussels and particularly about one slide titled "Hobby to Hollywood." 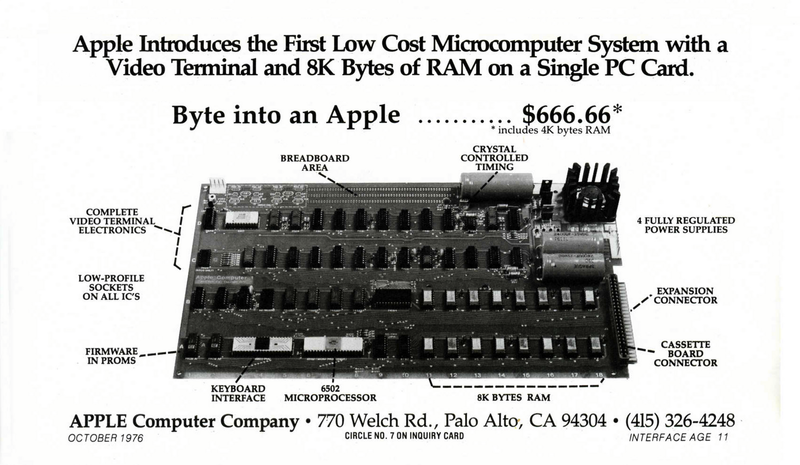 I used that title (inspired by LL Cool J's similar trek from "Hollis to Hollywood") to talk about how Apple grew out of the excitement of a community of hobbyists and how their first machine, the Apple I, was marketed only as a barebones kit. As we're attempting to make programming as mainstream as personal computers and mobile devices have become, Apple's story can provide important insight into how we can make this transition by providing graphical programming tools, just as the PC became accessible through the introduction of the graphical desktop. The re-emerging DIY electronics and fabrication communities can also learn from the story of the of Apple and the personal computer in general. Strong parallels can be drawn between Fab Labs and hackerspaces of today and the Homebrew Computer Club that helped spawn Apple and the personal computer industry in the mid 1970's. Arduino and MakerBot are reminiscent of the early Apple I kit and these modern enthusiasts have created a base that will surely help spawn new industries. Hollywood and Beyond - Jobs eventually left the young Apple and turned what could have been considered just another hobby, computer animation, into a multibillion dollar industry with the acquisition of what would soon become Pixar. He did in fact take Pixar to Hollywood when it released its first feature film "Toy Story." The rest of the Jobs and Apple story is, well, history and I encourage anyone involved in the DIY space to look at how it all played out. There are many lessons Modkit has learned from Jobs and Apple and I'm sure we'll revisit this soon. Progression in innovation offers quick and simple business activities but on the other hand is joined by more serious dangers of information lost because of expanding number of unlawful programmers and infections. Server database backup online reinforcement is considered as a standout amongst the most perceived method for ensuring your organization's notoriety through keeping your records private and anchored.